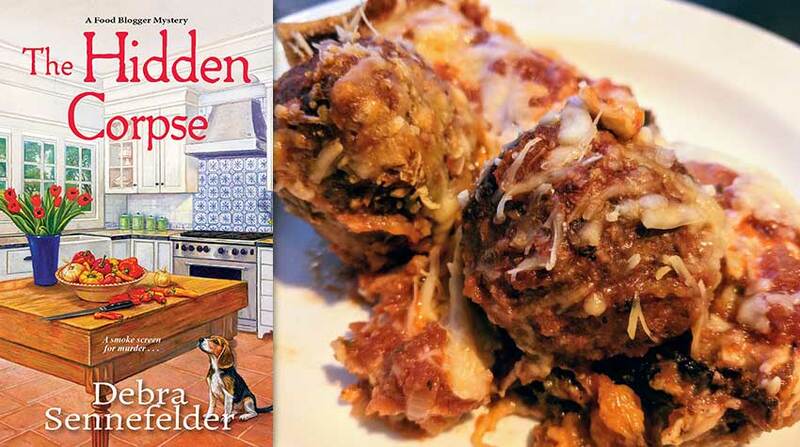 Hope Early is getting her life back together in this second book of the Food Blogger mystery series. 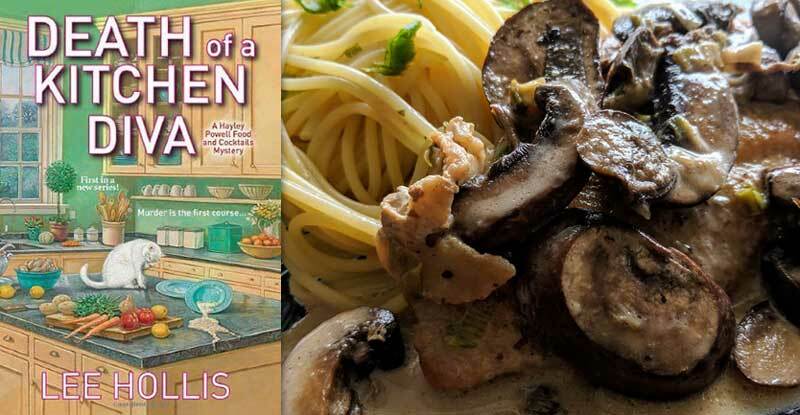 Now that she’s settled back in her hometown of Jefferson, Connecticut, she’s focusing on her burgeoning career as a food blogger and looking for ways to maximize revenue. To this end, she’s invested in a photography workshop specifically designed for her career path, run by Cal Barnhart, a renowned food photographer. Though his beloved wife, Lily, has been missing for the past couple of weeks, he’s determined to keep working, and his students are, in the main, happy not to bring up her disappearance. When she isn’t brushing up on her skills, Hope is trying to be a good neighbor, in particular to Peggy Olson, an elderly widow who has only recently come home from physical rehab after a fall. Peggy lives alone and is proud of her self-sufficiency—until the day she comes over to Hope’s in a panic. She doesn’t remember fixing a cast-iron pot of her late husband’s favorite food, but the fact that it’s burning on the stove and setting off her smoke detector has her worrying that she’s losing her memory. Hope promises not to tell Peggy’s niece and primary caretaker, Meg, about the incident, but she soon comes to regret it. Mere days later, Peggy’s house catches fire, fatally trapping the senior citizen inside. Hope is understandably distraught, then just as understandably mystified when another corpse is also found in the burned out house. The second body is quickly identified as Lily’s, which only brings up more mysteries than it solves. Why was Lily in Peggy’s home? Who was meant to be the real victim here? And who would have it in for either, or both, women? 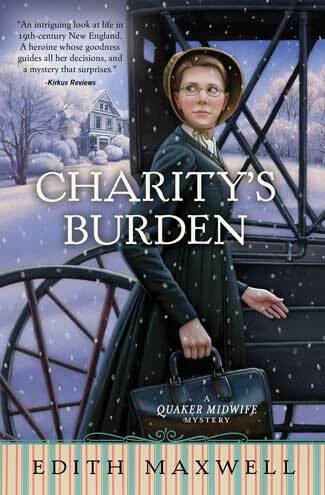 I really enjoyed the first half of the book, which was a nicely balanced blend of mystery and character-building as we’re introduced to the inhabitants of Jefferson primarily through Hope’s relationship with them. 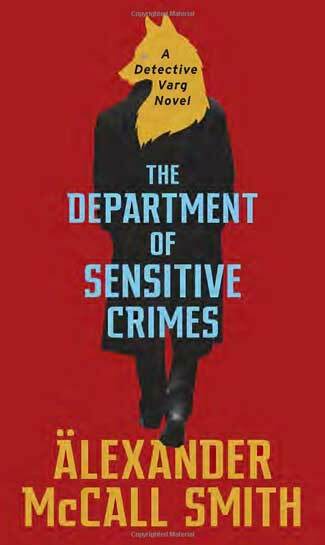 It was also fascinating to read about Hope’s job since it’s so closely related to my own. I was less pleased with the sheer unpleasantness that Hope had to deal with in terms of really obnoxious family and “friends” in the second half. While I’m glad that Hope believes in taking the high road, I was taken aback by how casually mean people are to each other in Jefferson. 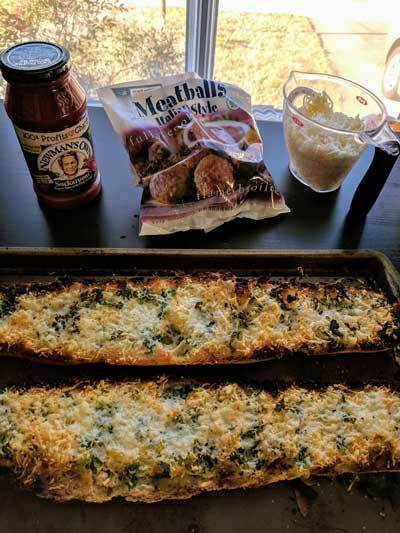 Arrange bread slices in a single layer in an ungreased 13” x 9” baking pan and sprinkle with ½ cup cheese; set aside. 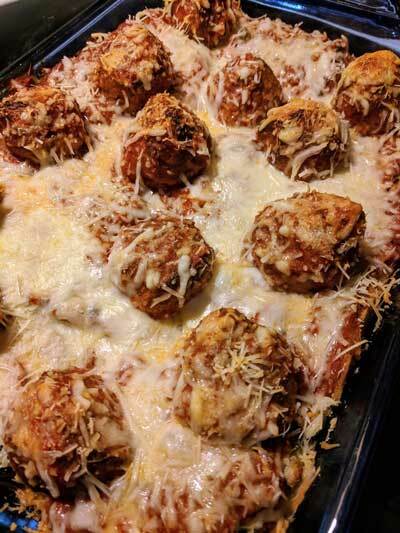 In a bowl, mix together meatballs and pasta sauce, and spoon over cheese and bread. Sprinkle with remaining cheese. 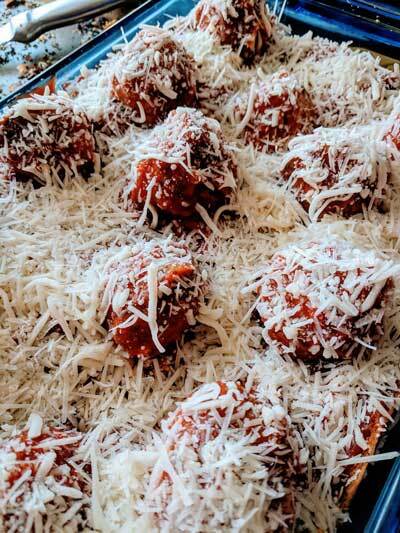 Bake, uncovered, for 25-30 minutes, until meatballs are cooked and cheese is bubbly and melted. Preheat oven to 350 degrees. Slice bread in half, horizontally. Combine butter, garlic, and parsley together in a small bowl. Spread garlic butter mixture over both halves of the bread. Place bread halves on baking pan and heat in the oven for 10 minutes. Remove pan from oven. Sprinkle Parmesan cheese over bread. Return to oven on the highest rack and broil on high heat for 2-3 minutes just until the edges of the bread begin to toast and the cheese bubbles. Don’t leave the oven as the bread can go from toast to burnt quickly. Remove from oven, let cool for a minute, remove from pan, and slice. As you can tell, I totally left the bread in the broiler for just a little too long and burned the edges, but a little judicious scraping with a knife left a perfectly respectable amount for the casserole. In fact, the charred bits actually added a nice touch of smoky flavor when smothered in sauce and cheese. 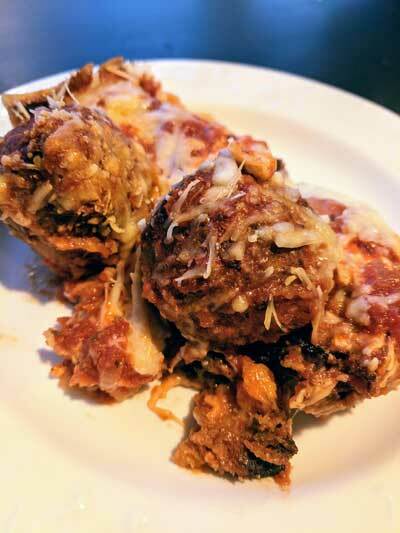 I rarely recommend brands for this column, but Trader Joe’s meatballs are always a delight, and Newman’s Own Sockarooni sauce is my family’s go-to—together they were perfect for this dish. 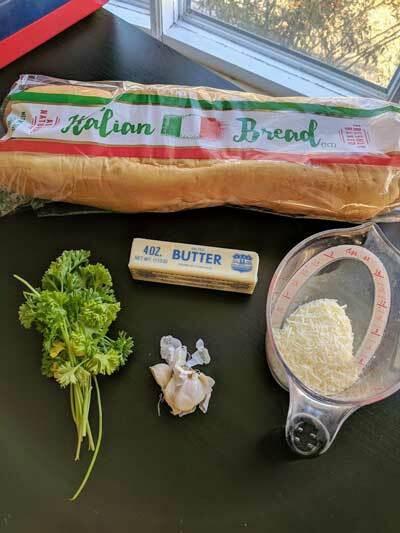 Even with making the garlic bread from (mostly) scratch, this was remarkably easy and quite fast—under an hour—to put together. 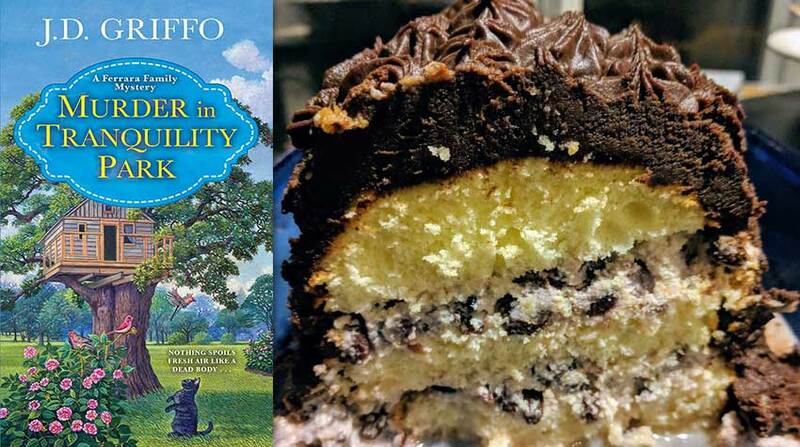 And the results were absolutely delightful! I’m still thinking about this yummy casserole and planning on when to make it again soon. Next week, we go cross country to try out a pasta perfect for springtime! Do join me!